According to a report prepared by Estudio Canudas, by December 2016 the top 10 included the following trademarks: Lave-Rap (laundry services company), Grido (budget ice cream chain), Dia (discount supermarket chain), Sei Tu (ice cream chain), Colorshop (paint company), Bonafide (coffee and chocolate company), Subway (sandwich company), Cafe Martinez (coffee company), Havanna (cookie3 and chocolate company) and Morita (empanada4 company). Some foreign brands, such as McDonald’s, Wendy’s, KFC, Burger King, 5àsec and Falabella, are also present in Argentina. However, local brands are at least as important in terms of franchising. To date there is no national franchise association or similar body, nor a government or public report on franchising in the market. Article 20 of the Argentine Constitution states that foreigners enjoy in the territory of the nation all the civil rights of a citizen; they can practise their profession, industry and commerce; own, buy and sell real estate; navigate the rivers and coasts; worship freely according to their chosen faith; make a will and marry according to the laws. Foreigners and nationals are equal in the law. In view of the above, foreigners do not need special approvals when entering the local market, although they will certainly need to comply with local regulations. Local regulations on franchising do not set out any restrictions for foreigners granting a master franchise or development rights to a local entity. However, to be shareholders of a local entity, foreign shareholders have to be registered locally with the Public Registry of Commerce. Although there were many foreign exchange restrictions in place in the past, other than some very simple formal requirements, there are none currently enforceable in Argentina (neither specifically for franchise agreements nor in general). Furthermore, and notwithstanding the fact that we will address the issue below in Section V, no special tax rules apply to franchise agreements. Brand and other intellectual property searches in Argentina are partially available through the National Institute of Industrial Property (INPI) database. Trademark searches can involve phonetic and graphic searches, but neither of these is available through the INPI database; only searches for identical marks are available, together with searches based on the name of the applicant or holder of the trademark. A similar situation obtains as regards patent, utility model, or industrial model or design searches. In view of this, to ascertain whether there may be a conflict between pre-existing trademarks, patents, utility models, industrial models or designs and the ones a franchisor or franchisee wants to exploit in Argentina, it is advisable to obtain the opinion of an expert. Trade names, trademarks, patents, utility models, industrial models or designs, copyrights, trade secrets, confidential information or know-how can (whether all or a combination of these) be part of a franchise agreement. While trade names, copyrights, trade secrets, confidential information or know-how do not need to be registered to obtain ownership, trademarks, patents, utility models and industrial models or designs do need to be registered. Trademarks can be applied for by corporations or individuals, both national and foreign. Once the trademark application has been filed, the Trademark Office performs a formal examination and, provided formalities are complied with, orders its publication in the Trademarks Bulletin. After publication takes place, third parties have a 30-day term to file oppositions based on legitimate interests. If opposition are filed, they block the trademark’s registration procedure until either an agreement is reached with the opponent or a lawsuit is filed against the opponent (following a mandatory prior instance of mediation). The Trademark Office does not resolve opposition matters; these must be resolved by the courts. After the period for oppositions, the Trademark Office performs an in-depth examination and decides either to issue an office action, if there are matters to be resolved, or to grant the registration. Other intellectual property rights have different registration processes, with the patent and utility model registration process being the most lengthy and complex, and the industrial model and design registration process being the shortest and simplest. The patent and utility model registration process has stages similar to those of the trademark registration process (filing, formal examination, publication, opposition period, in-depth examination, rejection or registration). The industrial model and design registration process differs from the others mentioned above, since only a formal examination is performed and, provided the formal requirements are met, the industrial model or design is granted for a five-year period, which can subsequently be extended for two additional five-year periods. According to Argentine regulations, the franchisor shall defend and protect the use by the franchisee of the intellectual property rights granted under the franchise agreement. However, in international franchise agreements, the enforcement of those rights is contractually the responsibility of the franchisee, which must be specially empowered to do so, without prejudice to the franchisor’s obligation to provide the franchisee with all the documentation and other elements necessary for that purpose. In any case, the franchisee is entitled to intervene as an interested party, in defence of those rights in any relevant administrative or judicial proceedings, through the channels admitted, and to the extent allowed, by procedural law. Argentine data protection regulations apply to any processing of personal data that takes place within Argentina. Personal data is broadly defined as information of any kind referring to identified or identifiable natural or legal persons. 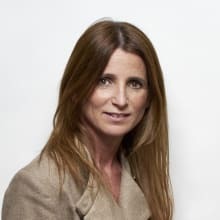 In view of the above, in franchise agreements, the party processing personal data in Argentina will have to comply with all data protection regulations. These include, among others, (1) a requirement for the prior informed and express consent of the data subject for the processing of his or her data (with some exceptions specifically set out in the regulations), (2) the grant of a right for data subjects to access, update, amend and delete outdated or incorrect information, (3) the obligation for the data controller and processor to take confidentiality and security measures, (4) the obligation for the data controller to register the databases, (5) the obligation to use the data only in connection with the purpose for which they were collected, and (6) the obligation to delete the data when no longer necessary for the purposes for which they were gathered. b data is exported for outsourcing purposes by means of an international data transfer agreement (IDTA) between the transferor and the transferee, under which the latter undertakes to comply with the Argentine data protection regulations. Failure to comply with Argentine data protection regulations may lead to sanctions being imposed by the data protection authority, currently the Public Information Access Agency, and to civil and, in some cases, criminal liability. In 2016, with a view to replacing the current Data Protection Law, the National Directorate for the Protection of Personal Data (DNPDP) prepared a draft bill, which has not yet been submitted to the National Congress. This draft bill reproduces some of the principles of the European General Data Protection Regulation. The Argentine Criminal Code currently penalises different cybercrimes. Furthermore, Argentina has recently become a party to the Budapest Convention on Cybercrime. Social media and e-commerce are not expressly regulated in Argentina. However, they are subject to general laws, such as criminal law, contract law, data protection law, consumer law, data protection law and unfair-competition law, among others. Specific regulation of franchise law has only been enacted recently in Argentina with the introduction of the National Civil and Commercial Code (CCCN), which entered into force in 1 August 2015 and replaced both the previous Civil Code and the previous Commercial Code (which were two different bodies of law).10 Up until then, neither the Civil Code, the Commercial Code or any special law provided special rules for franchising contracts. Despite the absence of special regulation, there were no legal obstacles to the execution and enforceability of franchise agreements. Other than the general restriction prohibiting parties from circumventing mandatory provisions, parties had complete freedom to agree upon any terms. Nonetheless, in the absence of special default rules to fall back on (other than the general provisions applicable to all contracts and those similar in nature), issues of legal certainty would become common if parties failed to anticipate any particular situation. The new CCCN introduced an entire chapter11 specifically addressing franchise agreements, in line with the regulations for sales representative agreements12 and concession agreements,13 which had not been regulated before either. Given the special nature of these agreements, they share many rules. The current franchise agreement regime comprises provisions addressing many particular issues (e.g., parties’ duties and rights, term and termination, labour and antitrust). As expected with any new piece of legislation, there is still very little interpretative case law (if any). One of the many general issues that still need to be addressed in case law is the nature of some of the provisions: whether they should be regarded as default provisions (i.e., applicable to the agreement in the event that parties do not agree otherwise) or mandatory provisions and a matter of public policy (i.e., parties to the contract may not agree otherwise). In addition to the main legal effect of that distinction (i.e., whether parties may legally opt out of the provision), there are two important consequences pertaining to franchising contracts that were entered into before the enactment of the CCCN (we will address this issue immediately below) and to matters of international choice of law (see Section VI.ix). Are the CCCN’s new provisions applicable to ongoing franchise agreements? An important issue that will soon be discussed is whether franchise agreements concluded and effective prior to the entry into force of the CCCN should be affected by the newly enacted rules. In addition to any of the usual representations and warranties included in business agreements, a particular disclosure requirement is provided in Argentine law. 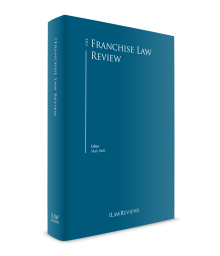 The franchisor must provide, prior to the execution of the franchise agreement, economic and financial information on the two-year evolution of units similar to the franchise units offered, and which have operated for a sufficient time in the country or abroad.16 The rationale behind this is that, before deciding whether to enter into the franchise agreement, the prospective franchisee has a legitimate interest in knowing if the business system has been proven successful. The franchisee has to evaluate example cases to project and calculate whether the business will be profitable. Argentine law does not have any specific regulatory registration requirement for franchises or franchise agreements. Although there is a particular registration requirement under the Transfer of Technology Act18 for tax purposes, this does not affect the enforceability of the franchise agreement. As mentioned above, the Argentine franchise agreement regime comprises both mandatory and default provisions. Therefore, any issue not specifically addressed by the parties shall be covered by existing legal provisions, some of which may apply on a default basis (i.e., they apply by default unless both parties agree to opt out), while others are mandatory rules. Within this legal framework, the Argentine regime does not actually set out which clauses must be included by the parties in the franchise agreement (in fact, it does not even require a written agreement); if the parties were not to set out relevant clauses, or even a written agreement at all, the agreement would simply be governed by the existing legal provisions. Parties to a franchise agreement are free to provide for any type of guarantee to secure their obligations. Other than compliance with general rules on the matter, there are no specific rules for franchise agreements affecting the enforceability of guarantees. In summary, Argentine law provides for two kinds of guarantee: real guarantees and personal guarantees. Real guarantees involve the provision of collateral (either owned by the debtor or any third party) that cannot be transferred or disposed of by the grantor; personal guarantees involve a third party (either an individual or a company) acting (generally) as a co-debtor on a joint and several basis with all its assets. While the first kind provide a more secure guarantee (given that the grantor is not legally or factually able to dispose of the collateral), the second kind provide a broader collateral that may be legally and factually disposed of by the grantor (regardless of any contractual provision). On the other hand, real guarantees are usually more expensive and burdensome to implement when compared to personal guarantees. The nature of the commercial relation and the amounts involved would greatly affect the type of guarantee, which is usually chosen on a case-by-case basis. Whatever the commercial agreement may be, when large franchise agreements are involved it is fairly common for the franchisor to require the franchisee to obtain a mortgage to secure any ongoing duties (especially payment obligations) under the franchise agreements. Although in the past there have been some doubts about the enforceability of this type of mortgage,30 the CCCN has expressly provided for open mortgages; (i.e., mortgages securing obligations originated by the parties or a particular commercial relationship, even if not specifically mentioned).31 The guarantee would cover any obligations accrued within 10 years of its granting,32 up to the amount provided in the guarantee. There is no special tax regulation specifically applicable to franchise agreements; therefore, the general principles of each tax regulation shall be applicable. The Argentine Congress is currently discussing a general tax reform, which is intended to be passed shortly. If approved, the conclusions below should be reviewed. The most relevant federal taxes are income tax and value added tax (VAT). Other local taxes (provincial and municipal) may also be levied on the franchise relationship, such as turnover tax and stamp duty. The taxes differ from province to province. Non-resident individuals and legal entities without a permanent establishment are only taxed on income from Argentine sources, such as (1) assets located, placed or used in Argentina, and (2) activities in Argentina that produce an economic benefit. a Services that cannot be construed as a transfer of technology are subject to a 31.5 per cent withholding tax on the amount to be paid. b Any trademark, know-how or other performance that may be construed as a transfer of technology is subject to a 28 per cent withholding tax on the amount to be paid. c Any transfer of technology that is not acquirable in Argentina is subject to a 21 per cent withholding tax on the amount paid. d Any goods exported to Argentina by a foreign individual or entity are not subject to withholding tax (however, they are subject to VAT and other customs duties, the rates for which vary according to the particular circumstances). VAT is assessed on a monthly basis and the general rate is 21 per cent. This rate is reduced to 10.5 per cent for certain taxable events (e.g., sales, manufacturing, fabrication or construction, and definitive imports of assets that qualify as ‘fixed assets’ according to a tariff number list included in the VAT law). VAT is applied at each economic stage on a non-cumulative basis. The accumulation of the tax is avoided by deducting the VAT invoiced to the local franchisor by its suppliers (VAT credit), as long as the acquired goods or the contracted services are linked to the franchisor’s VAT taxable transactions. Afterwards, the franchisor has to charge VAT on the total amount invoiced to its customers in each monthly tax period (VAT debit), but it is entitled to set off the invoiced VAT credit against its VAT debits for the same monthly period. c the importer is VAT registered. In this case the importer (franchisee) should self-assess the tax, which can be computed as a credit in the following month. If the franchisor is an Argentine resident, the franchisee will have to pay the VAT charged on the invoice to the franchisor. If the franchisor is a foreign resident, the franchisee should self-assess the tax, which can be computed as a credit in the following month. The franchisee will be subject to this tax on any debit on its local bank accounts or any movement of funds implemented through organised payment systems in lieu of bank accounts. Regarding the income tax withholdings to be applied to the payments made by a resident to a foreign individual or entity, we must emphasise that the application of the different rates will depend on the nature of the withholding being paid and the registration of the agreement with the INPI (the Argentine authority governing transfer of technology matters). In this sense, if the agreement is registered with the INPI, and depending on the nature of the withholdings, the applicable rate will be 21 per cent or 28 per cent, and if the agreement is not registered with the INPI a 31.5 per cent rate will apply. The rule of good faith is present throughout Argentine law. Specifically in the CCCN, the rule of good faith is present in many general and specific rules. Pursuant to the general rules, all rights must be exercised in good faith;37 in view of this, contracts must be interpreted according to the parties’ common intention and the rule of good faith. According to implied guarantees provided by law, the CCCN provides that the franchisor shall be liable for any design defect of the franchise system that causes damage to the franchisee, provided the damage was not caused by the franchisee’s wilful misconduct or gross negligence. In addition to the specific guarantee referred to above, Argentine law provides for two implied guarantees, which although not specific to franchise agreements may be applicable: the guarantee of good title and the guarantee for hidden defects. Both implied guarantees may be waived in advance by the transferee. As discussed above, the newly enacted CCCN regulates franchise agreements, sales representative agreements and concession agreements (the rules for which are applicable to distributor agreements). As a consequence, these three types of agreement, which are dealt with together, share a similar treatment and some common rules (with some variations) under the CCCN. However, and notwithstanding the common elements that may exist under the three types of agreement, our reasonable understanding is that they are three distinct contracts and, except for those rules that are expressly pointed out as applicable for other contracts, a franchise relationship should not be regarded as an agent or distributor relationship. a Indemnity provisions: although there are no legal obstacles to agreeing upon an indemnity clause, such a commitment depends on the franchisee’s solvency. b Pre-eminence of particular clauses: any particular clauses (those individually negotiated) that are incompatible with general clauses prevail over the latter. Although the parties may limit or eliminate this exclusivity by special agreement, it serves to show the importance that Argentine law attaches to the issue of exclusivity. Termination of franchise agreements is probably the most important issue under Argentine franchise law. Most conflicts are generally related to the ability of one of the parties (usually the franchisor) to legally terminate the contract and its liability in relation to the franchisee. d whatever the agreement’s term, the party wishing to terminate the agreement upon the expiration of its original term or renewal must provide prior notice equal to one month per year of contract up to a maximum of six months.61 Note the contradiction with the condition listed at (c), which only requires 30 days’ notice. Furthermore, for agreements with an agreed indefinite term, the prior notice must be given in a way in which the agreement’s termination occurs after the third year of its execution. Note that this provision seems to contradict the stipulation that an indefinite-term agreement shall be regarded as a four-year contract. In any case, a cause is required for termination. Given the apparent contradiction of the legal provisions, we understand that a conservative approach should be used. In that regard, the general rule should be to grant prior notice of termination equal to one month per year of contract (with a maximum of six months) for all cases in which a termination for convenience is intended, whether it is an indefinite-term agreement (converted after the second renewal as discussed above) or the terminating party intends to prevent renewal upon the expiration of the original term or the subsequent renewal term. Given that the franchisor may not have a controlling stake in local franchises,64 the franchisor should not be able to take over the operation of the franchisee’s business. Under Argentine law, there are no particular compliance rules for franchisors or franchisees. Although there are no special rules or procedures specifically provided for franchise agreements, a few general matters have to be addressed. Parties to a commercial agreement (such as a franchise agreement) are able to agree a particular choice of law and jurisdiction. As regards the first, the CCCN acknowledges the parties’ ability to choose the law applicable to the agreement.65 This choice of law, however, is generally subject to compliance with certain requirements: (1) the contract should be ‘international’ as opposed to fully domestic; (i.e., it should have a foreign component);66 (2) the foreign component should be real, as opposed to fraudulently established by the parties to avoid the application of Argentine law; and (3) the choice of law should bear some reasonable connection or contact with the agreement. As regards the choice of jurisdiction, the CCCN stipulates that parties can agree to submit their international commercial claims to foreign courts,68 provided certain requirements are met (similar to those required for the validity of choice of law provisions, as listed above). Argentina is a signatory to the UN Convention on the Recognition and Enforcement of Foreign Arbitral Awards (the New York Convention). Argentina’s business community (both in general and with regards to the franchise business) is currently at the dawn of a new age – from a legal, economic and political point of view. From a legal point of view, the newly enacted CCCN has (despite its shortcomings) provided a more certain and foreseeable legal scenario, for both franchisors and franchisees to develop their businesses. During the coming years, we expect to see more and more case law that will help the legal community interpret the CCCN’s not-so-clear provisions. From an economic and political point of view, a more business-friendly government took office in 2015. In the past two years it has taken many open-business measures (for example, curtailing the foreign exchange restrictions) and many more are expected. This has certainly created a welcoming environment for both domestic and foreign investors and franchise players. 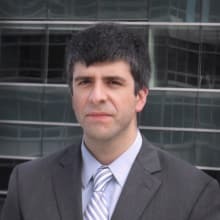 1 Florencia Rosati is a partner and Gustavo Papeschi is a senior associate at Beccar Varela. 3 Alfajores: a type of traditional biscuit or cookie in Argentina. 4 Type of traditional pie or pasty in Argentina. 5 According to the Argentine Franchise Guide (http://www.gaf-franquicias.com/index.php) issued by the Argentine Association of Brands and Franchising (http://www.aamf.com.ar/#!/-home/). 6 Civil and Commercial Code art. 1512 (Arg., 2015). 7 Id. at art. 1513, para. b. 8 Id. at art. 1512. 9 To date, countries with an adequate level of protection are: the Member States of the European Union and members of the European Economic Area, Switzerland, Guernsey, Jersey, the Isle of Man, the Faroe Islands, Canada (for the private sector only), the Principality of Andorra, New Zealand, the Republic of Uruguay and the State of Israel (only for data receiving automated processing). 10 Law No. 26994, 8 October 2014, B.O. 32985, 1 (as amended by Law No. 27077) (Arg.). 11 Civil and Commercial Code arts. 1512–1524 (Arg., 2015). 15 For example, the CCCN provides that the franchisor must provide the franchisee with an operation manual (Id. art. 1514, inc. para. c), without stating whether the provision is default or mandatory. However, if the agreement entered into by the parties in 2013 (i.e., before the CCCN entered into force) did not provide for an operation manual, would the franchisor be required to provide the franchisee with a manual as of 1 August 2015? The answer would depend on whether the provision is regarded as a default provision or a mandatory provision. If the former, it would not be deemed applicable; if the latter, it would be applicable. 16 Id. art. 1514, inc. a. 18 Law No. 22426, 23 March 1981, B.O. 24633 (as amended) (Arg.). 19 Civil and Commercial Code art. 1514, para. b (Arg., 2015). 20 Id. art. 1514, para. c.
21 Id. art. 1514, para. d.
22 Id. art. 1514, para. e.
23 Id. art. 1514, para. f.
25 Id. art. 1519, para. a. 26 Id. art. 1519, para. b. 27 Id. art. 1519, para. c.
28 Id. art. 1522, para. d.
29 Id. art. 1522, in fine. 30 The reason for those challenges was that these guarantees failed to comply with an important requirement of real guarantees: to determine precisely which obligations were guaranteed. Given that the payment obligations did not exist when the real guarantee was executed, that real guarantee could not cover those obligations. 32 Once that term has elapsed, the obligations accrued during that term shall remain secured by the real guarantee. 33 Gustavo Papeschi, Law and Business Review of the Americas, SMU Dedman School of Law, Volume 20, Winter 2014, page 82 (United States). 34 Id. at page 83 (United States). 35 Id. at page 83–84 (United States). 36 Id. at page 82 (United States). 39 As the original drafter of the (now abridged) Civil Code said when he refused to legislate this doctrine, ‘[i]f the government acts as a judge of the abuse [. . .] it will not be long until it acts as a judge of the use, and any true idea of property and freedom would be lost’. Civil Code art. 2513 (abridged), Author’s note (Arg.). 40 Gustavo Papeschi, Law and Business Review of the Americas, SMU Dedman School of Law, Volume 20, Winter 2014, page 76 (United States). 41 For example, while the principal in a distribution agreement is required to purchase from the distributor all the goods the latter was obliged to acquire from the former (Id. art. 1508, para. b), there is no similar requirement for the franchisor. 43 Id. art. 1520, para. b. 44 Gustavo Papeschi, Law and Business Review of the Americas, SMU Dedman School of Law, Volume 20, Winter 2014, page 88 (United States). 48 This provision is very similar to the one set out in section 37, para. b) of the Consumer Defence Law. Our understanding of the possible interpretation of that addition is that the CCCN introduces the rule that the drafting party in a contract of adhesion may not include any provision that amends (contrary to the adherent party’s interest) the default rules provided in any legal provision. In other words, even default rules are regarded as mandatory provisions. 50 Law No. 24240, art. 40, Oct. 15, 1993, B.O. 27744, 34 (as amended) (Arg.). 51 Civil and Commercial Code, art. 1523 (Arg., 2015). 53 Id., arts. 1506, 1516. 58 Id., art. 1522, para. a. 59 Id., art. 1522, para. b. 60 Id., art. 1522, para. c.
61 Id., art. 1522, para. d.
66 For example, if the place where the agreement is executed, or is to be performed, or the residence of one of the parties at the time of executing the agreement, is located abroad. 67 In other words, although the parties may choose a law other than Argentine law, such a choice does not preclude the application of the mandatory provisions of the CCCN.